OXNARD ― Peninsula Yacht Marina is providing a Boaters Swap Meet with free admission, free vendor space and free parking. This event takes place in the Channel Islands Harbor on March 25 from 8 a.m. until 2 p.m. The swap meet is an opportunity for those wanting to sell boating gear and to replenish on boating items need for the upcoming season. “We usually get 65 to 80 sellers at these events,” Gary Auberry, Office Manager of Peninsula Yacht & Bahia Marinas, stated. Boaters can shop for new and used boat equipment, dinghies, marine supplies, kayaks, motors, nautical knick-knacks, tools, electronics, hardware, fishing gear and more. Food will be available from Connie’s Hot Dogs offering hot dogs, Polish sausage and other treats. Restroom facilities are onsite. Those interested in selling items should call 805-985-6400 to reserve a free spot and plan to arrive between 6-7 a.m. on the day of the event. Free coffee and water will be provided by Peninsula Yacht Marina. 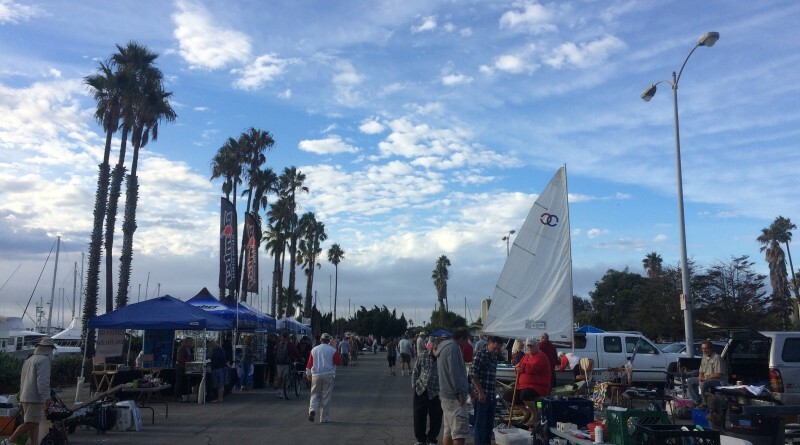 The Boaters Swap Meet takes place in the Peninsula Yacht Marina parking lot. The address is 3700 Peninsula Road, Oxnard, California 93035.